Pushup Routines! 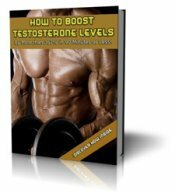 Testosterone & Bodyweight Exercises! Here's a quick update and a few questions. I've been "all in" on the program now for 10 weeks! I've lost about 13 pounds and really started gaining muscle. I've dropped 3 inches off my waist (37" to 34") and ED is no longer a problem. 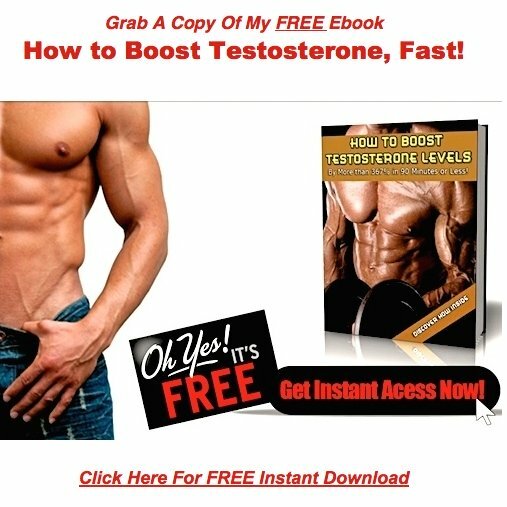 I appreciate all the work you've put into this site and continue to read the Testosterone Blog for more information. Do I cycle the CDP-Choline with the other Testosterone Boosters or is that something I should take daily? I'm exercising twice per week and doing three sets each of pushups, pullups, and jump squats. A typical workout would go- 30-35 pushups in 30 seconds. Then 6 pullups and hold half way up for a total of 30 seconds. Then do 30 jump squats. Then I try to repeat the process doing a few less reps due to fatigue, but always completing the 30 jump squats. The total workout takes 18-20 minutes and I definitely feel the burn on each set. When I started, I could do a three set total of about 35-40 pushups and really couldn't do a complete pullup. Now I'm getting 80+ pushups, 12-14 pullups and 90 jump squats done in three sets. I'm doing this twice per week and would like to know your suggestions. Should I break the routine up and do only pushups one day but add more sets? Or keep on the same routine and go three times per week instead of two???? I've got a feeling you'll tell me to mix it up and try all of the above...but I'm curious to know what you think. Again, thanks for this site. I'm a new man and plan on being down to a 32" waist by mid July for this year's summer beach vacation! 3 inches off the waste is no small feat, so good for you! Yes, the choline does need to be cycled like all the other herbal testosterone supplements, or tolerance will kick in. Regarding the exercise, what you've done so far is great, but now it's time to mix it up. There's a lot of similarity between exercising and taking supplements. You need to cycle both! Always be looking for ways to add randomness and variety to your routines. When you throw down those 80 pushups, your body knows exactly what's coming now. It's had 10 weeks to adapt, so there are no real surprises coming. To shock your system, wear a back pack filled with 50 pounds during your next routine. You may only be able to grunt out 10 reps, but your body will be totally unprepared for this, and will respond accordingly. During your recovery phase, it will throw down some serious muscle, which will be very noticeable when look into the mirror a few days later. You can also mix things up, but placing your feet on a chair and doing inclines. Also, one day go super slow, and the next, super fast. Then hit it with your hands close together, then far apart. Use the same techniques to mix up your jump squat and pullup routines as well. Two more exercises you may want to consider adding to your repertoire are sprints and jump rope. You can do a routine of either in about 6 minutes, once you get them down. Both are very intense if done correctly, and the rope can be a lot of fun to boot. Spin that thing for a few weeks, and trust me, you'll get real good, real fast. So good in fact, the neighborhood kids will come out of the woodwork to watch. A skilled tactician on the rope is a very impressive sight indeed! Go twice one week, and 3 the other, always leaving plenty of time for recovery between sessions. The bottom line is, things are working great for you right now. You're in the game, getting strong, dropping fat, and feeling good! Just keep playing the way you are now, but always be on the lookout for ways to mix things up.